I have my comercial store with Red Bubble. Last year Red Bubble removed some of my work of Jerry Garcia saying the Garcia Family Trust had complained. I argued that I took the photographs of Jerry Garcia in a Public Venue and the ticket only restricted video recordings. I was protected by copyright law. Red Bubble intervened on my behalf and they agreed to allow my images to remain on the site for printed work but not for merchandise. Copyright law protects my original photography but doesn’t give me the right to manufacture t-shirts with my image. Only the original image is protected. Now the Zappa Family Trust has filed a complaint and I expect a similar outcome. However so far they have only complained about two images and one t-shirt. They have not yet removed my best selling t shirt. 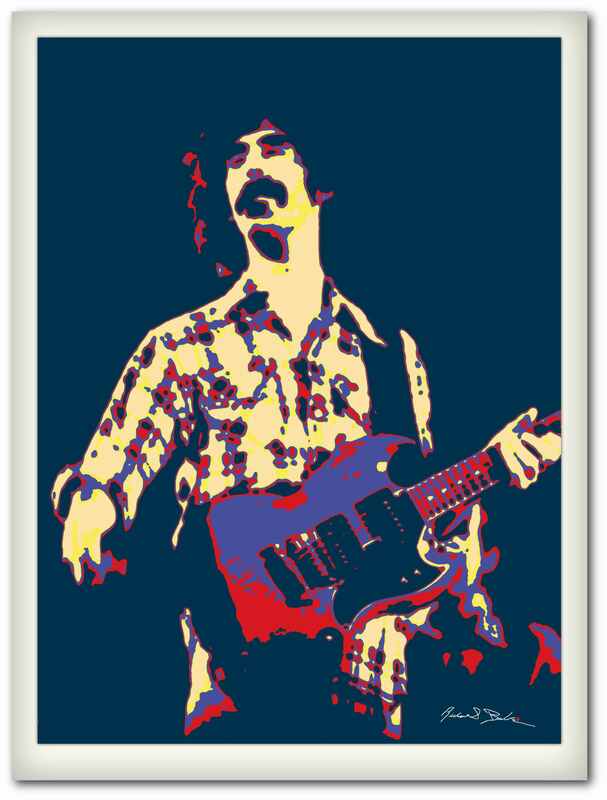 So follow the link below to order your Zappa Hope T-Shirt today. It may not be around much longer. The original shot for this creation was taken during the Apostrophe Tour on May 6, 1973 at Pittsburgh’s Syria Mosque licking <a href="http://clicking here.” rel=”noopener” target=”_blank”>here. This entry was posted in Art, Commentary, Music, People, Photojournalism, Pittsburgh and tagged frank zappa, mothers of invention, music, People Concert, Pittsburgh, rock and roll, T-Shirt. Bookmark the permalink.